Nov. 6 (NBD) – Revenue of China's smartphone maker Coolpad Group Limited (02369.HK) in 2017 totaled around 3.378 billion Hong Kong dollars (431.9 million U.S. dollars), a year-over-year decrease of 57.61 percent, according to the company's annual financial results for the year ended December 31, 2017 released on Wednesday. The file also indicated the loss for the year attributable to owners of the company reached about 2.674 billion Hong Kong dollars (341.9 million U.S. dollars). NBD noticed that Coolpad earned big profits from 2011 to 2015 but suffered a huge loss for the first time in 2016, and the company remained loss-making in 2017. Coolpad ascribed the dive of the consolidated results for 2017 to its business restructuring, fierce competition in China's smartphone market and decrease of its market share and sales volume in China. The public are mostly concerned with how the company will improve its current situation. Coolpad disclosed in the announcement that certain measures have been taken to mitigate the liquidity pressure and improve the company's financial position. For example, the phone company has been actively negotiating with banks to secure the renewals of its bank loans and meet the liabilities when they fall due. The smartphone manufacturer is also taking advantage of its real-estate resources. Coolpad and its major shareholder Kingkey Group Company Limited entered into a loan agreement in May this year, whereby Kingkey Group has agreed to provide a loan to Coolpad for corporate operation. At the same time, the company has accelerated its disposal plan for its long-term assets. In July this year, Coolpad inked agreements to sell two sites, one of which is located in Shenzhen and was sold at 118 billion Hong Kong dollars (15.1 billion U.S. dollars). The two deals are predicted to be completed by the end of this year. In fact, apart from suffering difficulties in financial position, the company has also been tangled with several commercial disputes. On November 20, 2018, a wholly-owned subsidiary of Coolpad filed a lawsuit against Smartisan Technology Co Ltd for default on a payment of 4.5 million yuan (656,000 U.S. dollars). Regarding the accusation, Smartisan's CEO Luo Yonghao claimed the payment was delayed due to personnel shake-ups and Smartisan would properly dispose the dispute through negotiations with the subsidiary. But Coolpad's CEO Jiang Chao recently replied that the arrears are still unpaid. In the same month, Yulong prosecuted Xiaomi for patent infringement before which the former already sued the latter for the same reason in January this year. Moreover, Coolpad was also charged by its suppliers in 2017 and was required to pay the due accounts payable which totaled 171 million yuan (24.9 million U.S. dollars) at once. 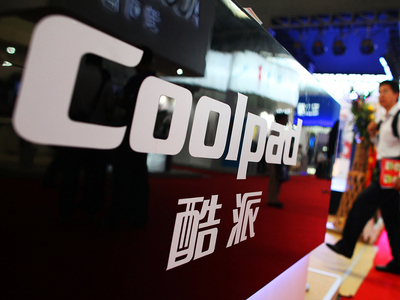 As for Coolpad's development in the future, Jiang Chao once said patent operation will be a major business. According to Coolpad, it will also focus on the overseas market with potentials for enormous sales growth and will grasp business opportunities brought by 5G technology.